No matter if you are building a new gaming rig or just looking to upgrade your old pc, You will need a good hard drive to ensure high performance. In this article, I have reviewed the best HDD for gaming that you must check out before buying a gaming hard drive. The traditional Hard Drives are still the most affordable storage devices in a world where SSDs are the new trend. 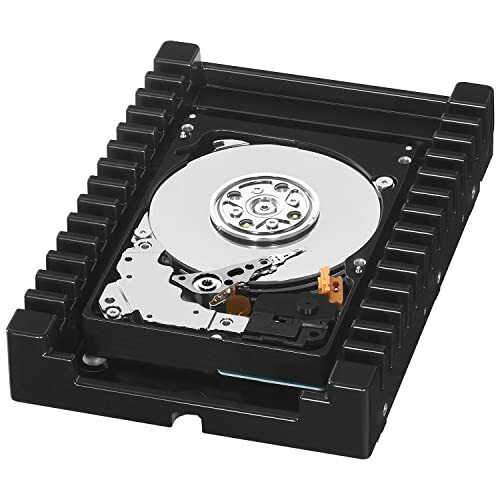 With better durability and lower cost per gigabyte, the mechanical HDDs offer adequate storage and read-write speeds for day to day tasks done on a PC. When it comes to gaming, the time it takes to load your game highly depends on the HDD you are using. The better the read-write speed of a hard drive, the lesser will be the load times. Other than better load times, even the best HDD for gaming do not significantly improve the game play. 4 Conclusion: What’s the best gaming hard drive? Obviously, the faster SDDs are a better choice but only if you can afford them. Thanks to high-end HDDs, you can find a balance between budget and performance. And, with the rise of hybrid drives, the choice has become easier as the hybrid drives are faster than HDDs and cheaper than SSDs. For this post, I have tested and reviewed the best HDD for gaming available in 2018 (including hybrid drives) along with their pros and cons. 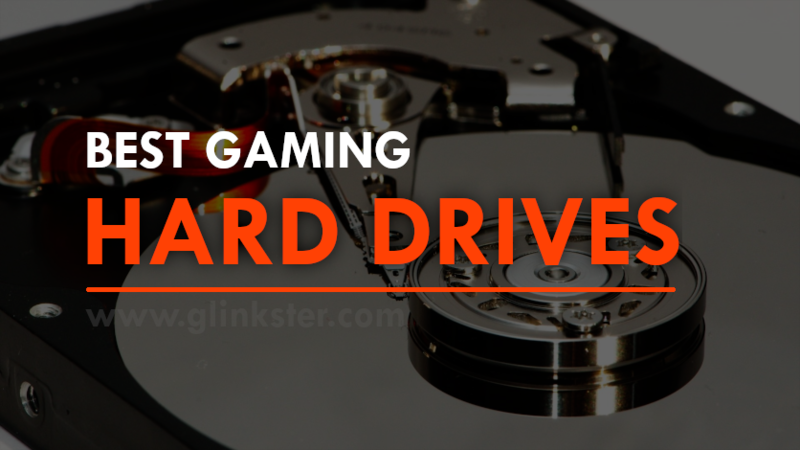 But, before going to the reviews, first check out my list of gaming hard drives below. These are my personally tested top HDD for gaming and have ranked them as per their performance, durability and budget. Below are few handy tips that will help choose a better hard drive for your gaming PC. Go for an SSHD (hybrid drive) if you can spend a little over your budget. Believe me you’ll thank me later. Only a 7200RPM (or higher) hard drive will make a difference in game load times. The regular 5400 RPM HDD won’t help you much in that department. Choose at least a 1TB HDD for gaming because anything under that will make you run out of storage sooner or later. I’ve warned you. A 64MB cache memory is okay for a gaming hard drive but higher is better, you know. Now, let us get straight to the detailed reviews of the best hard drive for gaming. Here it is. When it comes to hard drives, Seagate is an established brand. And, Seagate Baracuda series has been accepted as the best hard drive by the majority of gamers around the globe including me. The reason behind such a popularity is the better ratio of the gigabyte per dollar combined with great speed benefits and affordability. The 3TB model hits a sweet spot by balancing high performance and affordability. 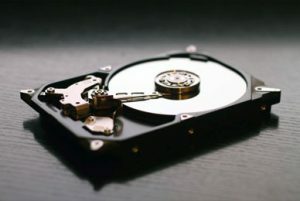 Since this drive combines 7,200rpm platters and high-density data, computers outfitted with this drive will be able to read data extra fast. If you are looking for lower power consumption, you will really enjoy the lower platter count of the latest 3TB Barracuda. By offering a 1TB x 3 platter configuration instead of 600GB x 5 of the model it replaces, there is less mass to spin around which translates into lower operating needs. On the downside, Barracuda drives have not proven to be as long-lasting and as reliable as some competing models, and Seagate-manufactured hard drives generally have a higher failure rate than any of those made by their competitors. For those who can manage with lesser storage, Seagate Barracuda offers 1TB and 2TB options as well. With that, you can save significantly on your cost. 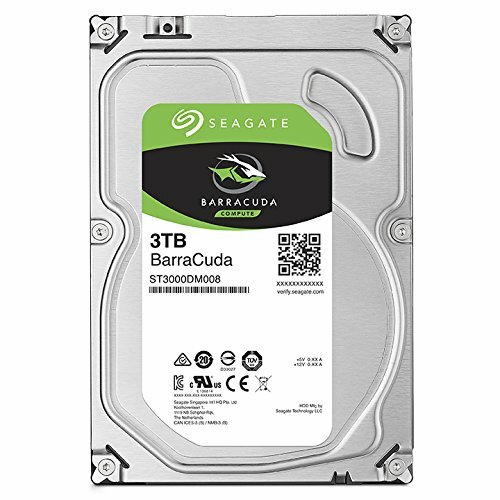 Overall, with reliable storage, high speed and brand name, the Seagate Barracuda 3TB model is the definitely the best hard drive for gaming available in the market today. When it comes to PC gaming, speed is everything. So, for anyone resisting the allure of an SSD, and looking to kick it old school with one of the best hard drives, it’s time for something that spins just a bit faster. With the WD VelociRaptor and its insane 10,000rpm spin speed, you’re going to want to pay attention to it. With capacities up to 1TB available, the VelociRaptor drives are ready to store large game libraries, add the super fast platters will help those games launch and load quickly. These drives combine a 10,000rpm drive with 64MB of cache and the 6Gbps SATA III interface for three obvious speed boosts. A fourth comes from the fact that the actual drive mechanism is of the 2.5-inch variety, couched in a 3.5-inch heat sink–like shell, which improves disk access and cooling to keep everything running smoothly. If you enjoy playing the latest 3D first-person shooter, RPG or MMORPG, the VelociRaptor is a must have. When I was playing the Mass Effect on a standard 7200rpm drive, the game pauses at level transitions while the drive loads new maps or cutscenes for the next level. The WD VelociRaptor freezes for only a fraction of a second and then the game continues. With all the features, comes the hefty cost and not everyone can spend around 300 bucks for it. But, if you are a performance-oriented gamer, WD Velociraptor is the best HDD for gaming without a doubt. When it comes to hybrid hard drives that include a small amount of solid-state storage to bump up their speed, there’s virtually no competition against the Seagate FireCuda. The FireCuda can fit up to 2TB of data, and then its 8GB of solid-state storage learns and stores the data you use most frequently to make accessing it even faster. That flash storage speed boost is made even sweeter by the fact the hard drive itself is spinning at a fresh 7,200rpm. Tack on a 5-year warranty and a reasonable price tag, and it’s easy to see why this drive is a winner. As I mentioned at the beginning of this article, Hybrid Solid State Drives are meant to deliver great performance and higher read-write speeds than traditional HDD. While testing, I compared the load times for some games like Fallout 4, Bloodborne and found 6 – 15 seconds faster loading. Yes, 15 seconds! That’s how fast your games become with this sweet thing! 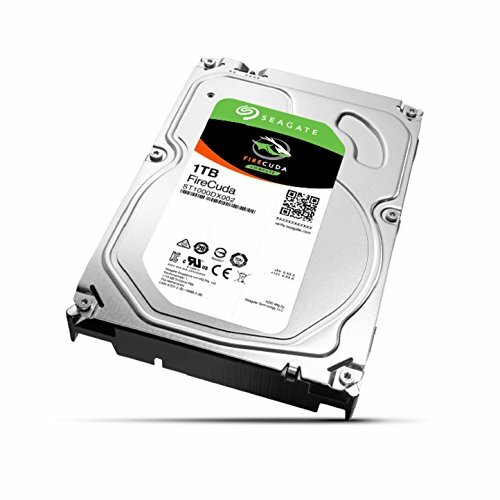 Looking at the price tag and benefits of hybrid drive, Seagate Firecuda is my top choice for the best HDD for gaming under 100 dollars. Next up on our list of the best hard drive for gaming, we have the Toshiba X300, a high-profile performance-oriented model. It maintains the same rotation speed as the P300 while doubling the cache size and it offers greater storage capacity, starting at 4 TB where the P300 left off and going as high as 8 TB. The X300 also maintains all the reliability of the P300, all the while delivering substantial improvements, as listed above. The X300 drives boast great gigabyte-to-dollar value without sacrificing on the performance side. These drives all spin at 7,200RPM and include 128MB of cache for fast operation. The only downside is the warranty only lasts two years, which feels short for a drive meant to store so much important data. It is a faster, larger, and more efficient hard drive intended for demanding users. And as it often goes with such hard drives, they are on the expensive side and will almost never benefit a casual user in any way. The WD Black is a professional level hard drive that combines speed and durability along with a large storage capacity. It utilizes many data safety technologies created by WD like corruption protection and vibration reduction. The hard drive is extremely durable thanks to these technologies. The dual-core controller cache improves overall drive speed, as does the SATA 6.0GB cabling, the 64MB cache, and 72000 RPM. If you’re looking for a hard drive focused on speed, you’ll be safe with the WD Black. The WD Black hard drives are manufactured with two things in mind: living up to a higher quality standard and delivering superior performance. They succeed at both of these, as they are more reliable and noticeably faster than the cheaper Blue HDDs. Overall, it’s an incredibly powerful and durable hard drive and easily blasts other high-end HDD competitors out of the water with its speed and reliability, and certainly one of the best gaming HDD options available if you need high speed. Toshiba P300 is basically a 3.5-inch desktop HDD a number of improvements. The P300 has up to 3 TB of storage and a significantly bigger memory cache while also increasing the rotation speed to 7200 RPM. Unlike the L200, this hard drive does not lag behind the competition in terms of performance and it manages to keep the build quality and reliability of the former. Not only does Toshiba manage to deliver excellent quality, but they also do it at a very approachable and competitive price. There is also the use of the Native Command Queuing that supports better seek time performance. You will love the way this model works. Ultimately, there is really no major issues with any of the P300 hard drives. 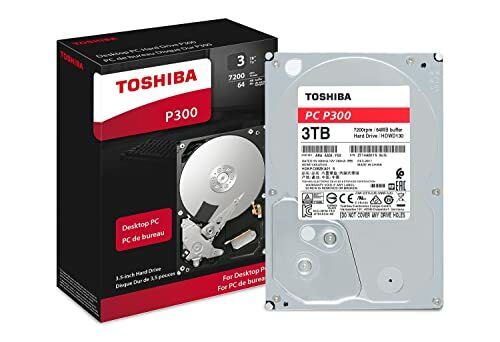 Toshiba has a great track record with very few cases of HDD failure, and their P300 models seem to have everything in one modestly-priced package. 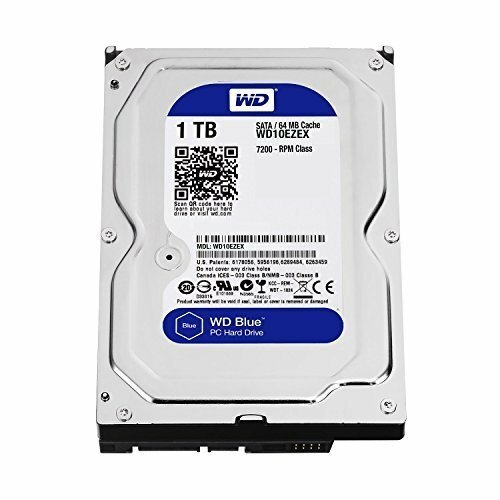 Western Digital offers a solid bargain with its line of WD Blue hard drives. With a wide variety of storage options from a small 500GB to a capacious 6TB, the WD Blue is a viable pick for almost any type of PC build that’s sticking to a budget. The best value comes from the larger drives – they’ll give you much more storage per dollar spent. And, if you’re looking for a bit more speed, there are also 7,200rpm models available that don’t come with too much of a price hike. 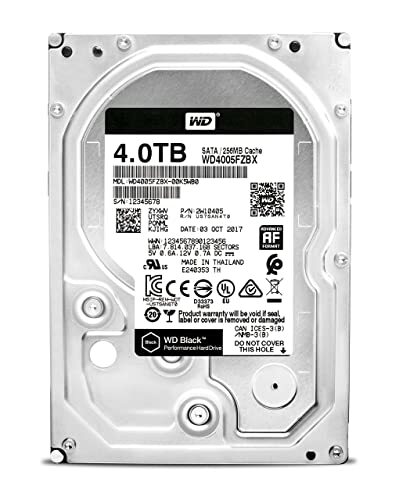 The WD Blue 1TB gaming hard drive uses a modern 7200RPM construction for reliable access to games with its 64MB cache and SATA 3 6Gbps interface. Though 1TB might be relatively smaller for some gamers out there, it’s also possible for further hard drive storage expansion. The WD Blue is also made with NoTouch Ramp Load Technology that safely positions the recording head off its disk surface to protect your data. It comes with a two-year limited warranty. If you are building a PC on an extremely low budget, this is the drive for you. It uses the same high-quality technology that the WD Caviar Blue drive uses, but in a 320gb package that’s even more affordable. If you really need to cut costs, you may want to use this drive as your primary drive, and then upgrade your rig with some more storage options when more money comes along down the line. Despite its low price, this drive is still great – boasting all of the top-of-the-line features that makes the Western Digital Caviar Blue one of the best selling hard drive lines of all time. The low capacity can also be augmented by external hard drives that you may already have, or flash storage options. 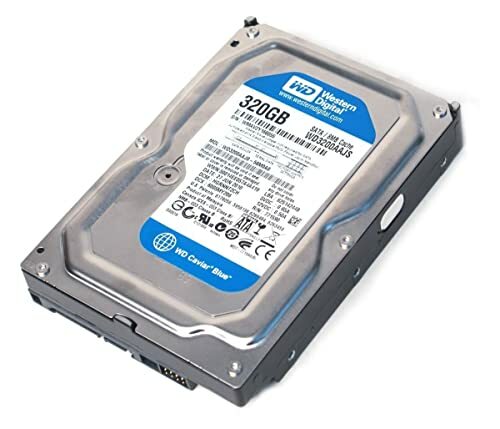 Overall, though 320GB is hardly generous, it’s enough to operate a computer, and with the ease-of-installation that most HDDs offer, it’s not hard to add additional storage later. So if you really need to cut costs to get a better graphics card, processor, or motherboard – this drive is a good compromise. It won’t blow you out of the water, but it’s darn cheap, and good at what it does, despite its limited capacity. So guys, you have already seen the top gaming hard drives and their reviews above. With the whole lot of features and technical details, you might be wondering what is the best drive for me? Don’t worry. I have jotted down all the important things that you need to consider before you buy a hard drive for your gaming PC. So basically, the faster a drive spins, the faster you can access and transfer data. Most of the best hard drives these days have a speed of 7200rpm. You don’t want anything less than this, as you will notice annoying delays between reading and writing data, eg when loading your games. Hard drives usually come with extra cache memory built into the drive for even faster loading. Drives with 32MB or even 64MB of cache will usually run very fast, but you don’t need huge amounts of cache memory in reality, and picking a hard drive with less cache memory such as 8MB or 16MB is fine. The hard drive interface is the hardware that manages the exchange of data between a computer and the hard drive. The most common interface used is ATA (Advanced Technology Attachment). ATA comes in two forms, the original ATA (also known as Parallel ATA, or PATA) and the newer, faster SATA (Serial ATA). When choosing your hard drive, make sure your motherboard supports the interface of your hard drive which will most likely be SATA. What Size of HDD Do You Need? Hard drives come in all different sizes, but if you are playing the latest games I would get a decent size to store your games as they can take up quite a bit of space. Also consider how many pictures, videos, and music that you will be storing on the computer as well. 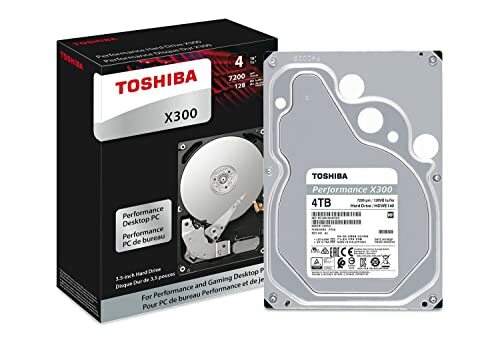 For a gaming PC where you will be installing many large games, I would suggest getting at least a 250GB hard drive, or 500GB or more to be even safer and more future-proof. Does Hybrid Hard Drives Actually Matter? If you want peace of mind that you are buying a quality product and have the best chance of avoiding problems with your hard drive, I would highly recommend sticking to a trusted manufacturer such as Western Digital, Hitachi, and some Seagate models. Solid state drives (SSDs) are fairly new on the scene and contain new storage technology to take loading times to a whole new level. With an SSD you will experience the very fastest loading speeds possible, but they are quite a bit more expensive at the moment. The price of solid state drives are slowly coming down, but they are a great choice if you have a little extra to spend on your custom PC because the advantages over standard drives are very noticeable. Check out our Solid State Hard Drive Buying Guide for more about SSDs. What a lot of people do these days is to buy a smaller SSD for loading the OS, and use a larger standard hard drive for your files. Conclusion: What’s the best gaming hard drive? Well, it is a bit difficult to sum up this round-up of gaming HDDs. There are a lot of factors like storage, size and speed which makes it impossible to zero down to just one hard drive I could recommend straight away. Also, the choice depends on individual requirement as well. So, considering that your primary motive of upgrading the hard drive is to improve the gaming performance and assuming that you are willing to spend at least 100 bucks on it, I would suggest the Seagate Firecuda SSHD 2TB or Barracuda 3TB which will almost fulfill all your expectations that you have from a gaming HDD. For those who are not within the limits of budget, WD Velociraptor 10000RPM is the best HDD for gaming without a doubt. I hope you have liked this article and I succeeded in helping you out with the choice of gaming hard drives. If you guys have any suggestions for me or any queries about HDDs, just comment below and I will be there you answer everything. Don’t forget to share this with your fellow gamers!